Older: Heartbreak Parish Newer: Who am I? It’s no longer news that on April 20th, the catastrophic explosion of an offshore rig sent an undersea gusher of oil boiling to the surface of the Gulf of Mexico off Louisiana. Or that winds, tides and time have overwhelmed efforts to contain a slick the size of Cyprus, spreading globs of emulsified goo to the very edges of the tender marshes and bayous of Plaquemines Parish, and onto the barrier Chandeleur Islands. Other VOA reporters are keeping you abreast of developments and the science of it all. I want to tell you, instead, about the place where oil threatens the wetlands and wildlife — right at the height of the spring breeding season — and has grounded an armada of small boats that in normal times pulls from the deep, 44 percent of the nation’s shrimp harvest. Thirty-six percent of the oysters, too. Louisiana also leads the country in crawfish, crab, and alligator-meat production. And the recreational saltwater fishing industry, now idled as well, pumps another $41 million into the economies of the Gulf Coast states. Up the road, restaurants are, together, exotic New Orleans’ largest private employer, and two-thirds of them prepare and serve seafood. Not right now, though, and there are fears that, to keep up with demand, Louisiana restaurants and fishmongers will turn to cheaper, imported shrimp and fish and oysters — maybe for good. Plaquemines’ name derives from an Indian word meaning “persimmon,” for the trees that grew outside an early fort. 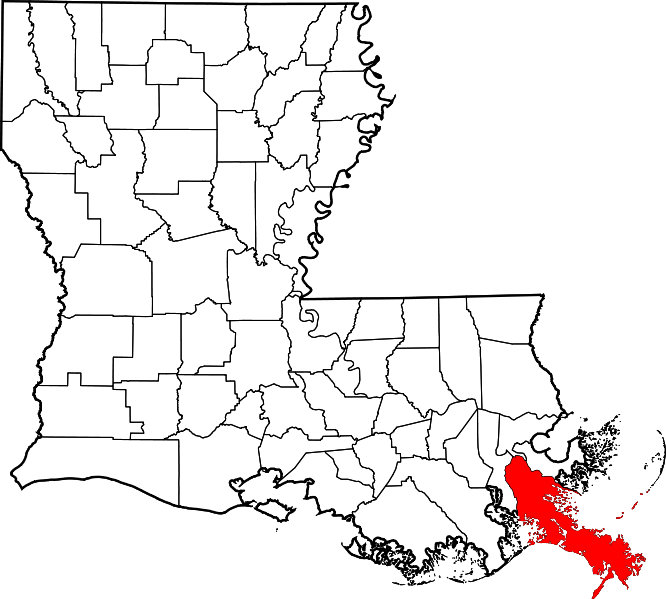 As you can see on the adjacent Louisiana map, it is the exposed, southeastern-most toe of the Louisiana “boot.” There, 4½ years ago, Hurricane Katrina howled ashore and flattened just about everything. 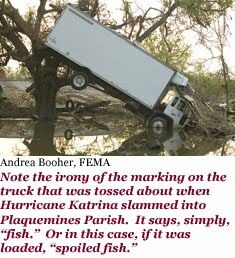 Almost 2,000 people died in the neighboring parishes downwind, but just 3 stubborn Plaquemines holdouts lost their lives. 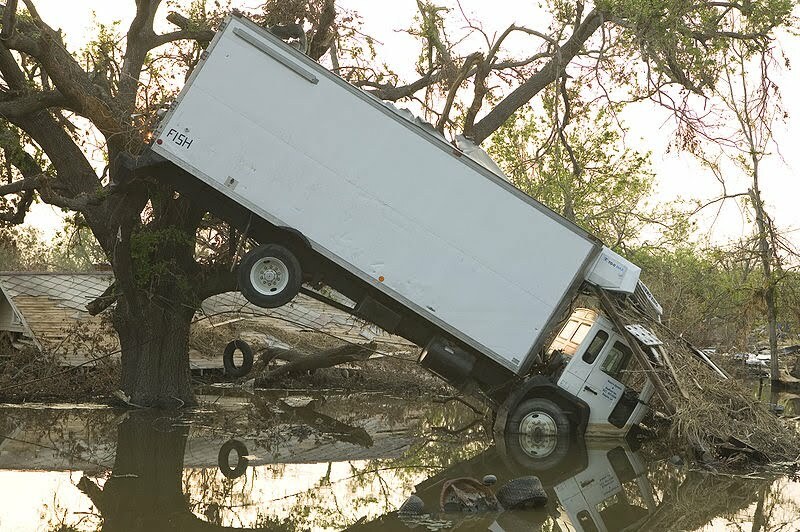 Knowing all too well that there is no escape from floodwaters in a place with no high ground, most everyone else in the sparsely populated parish abandoned their farmhouses, tiny businesses, and livestock and fled inland. About 3,000 of the parish’s 26,000 residents never came back. 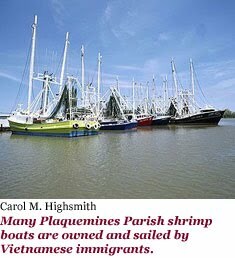 Plaquemines’ fishers and beauty-shop owners and oil-rig roughnecks know something about calamities. During the “Great Flood of 1927,” parish and state officials ordered a levee dynamited in order to relieve pressure on the swollen Mississippi River that was threatening to swamp New Orleans’ French Quarter. The Crescent City was saved, but half of Plaquemines was inundated, and thousands of people lost their homes. Many were African Americans who never returned, instead joining what’s been called the “Great Migration” into northern states, looking for industrial jobs. 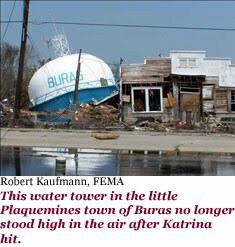 It’s a good thing just about everybody left Plaquemines when Katrina struck. 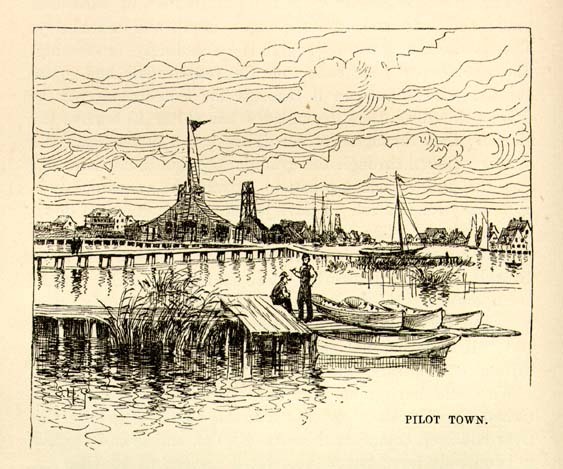 Ninety percent of the parish’s long, narrow landmass — bisected by the first 110 kilometers (70 miles) of the Mississippi River — ended up under water. Half the shrimp boat fleet was destroyed, thousands of citrus trees went unpicked, seawater ruined many a rice field, and an untold number of farm animals drowned. 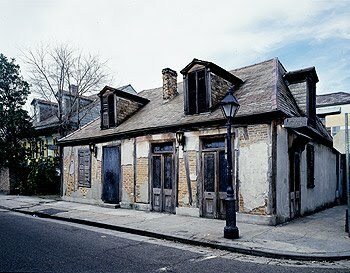 In Davant and throughout the parish, wood-framed houses that survived the hurricane winds “were ground into kindling” by the water surge. 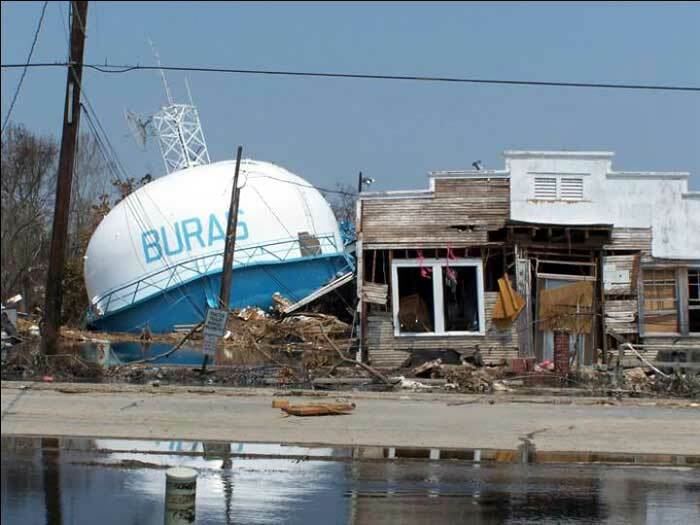 Davant became a ghost town, and Plaquemines a ghost parish that years of sorrowful rebuilding had only just begun to bring back to life. A couple of years before the storm, Carol and I had taken a boat ride down to what’s called the “Head of Passes” at the mouth of the Mississippi, where the mighty river splits into several channels as it works its way through the delta of rich soil washed downstream from as far away as Minnesota. 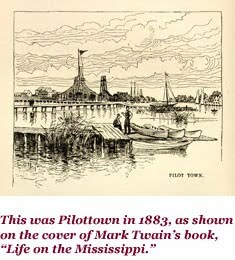 We were off to photograph “Pilottown,” a quaint little settlement built on piers that was the base of offshore oil exploration and home to the river pilots who guided oceangoing ships up the treacherous, serpentine river to New Orleans. 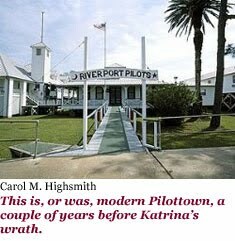 Katrina pushed Pilottown completely off its foundation, and the pilots decided not to rebuild it. Only 20 or so people live in what remains. 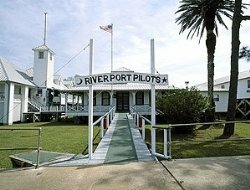 Piloting operations moved upriver to Venice, a real, terra firma town. Semiaquatic, somebody else described it. Almost half of the parish lies under a meter or more of water. Shorebirds, alligators, and muskrats — large, smelly rodents long pursued by Plaquemines trappers for their water-repellent pelts — live among its cattails and cypress stumps in places where salt and fresh water, silt from the great river — and now the tentacles of an oil sheen — do battle. This is a labyrinthine world, back among the reeds and purple water hyacinths, the live oaks and overhanging Spanish moss. It’s an easy place in which to get lost, sometimes on purpose. But the people here know their way, even on the darkest night. 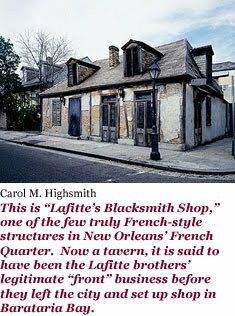 Although the most famous part of Louisiana’s French-speaking Acadian population lives farther west, near the cities of Lafayette and New Iberia, there are plenty of multi-generational “Cajun” families among Plaquemines’ human population as well. They are the descendants of French speakers who were expelled from Canada’s maritime provinces by British authorities in the early 18th Century. 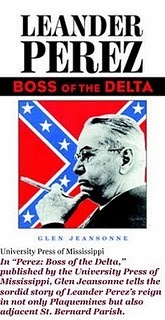 Today’s generation speaks a French-English patois, often with a sort of double emphasis: “I’m so happy today, me,” or “I don’t care for any, no.” They might have held tight to French had not the state required English-only instruction in school, or had so many Cajuns not found work in the English-speaking oil patch. Plaquemines’ Acadians join with Italian Americans, blacks, Vietnamese immigrant shrimpers, and Isleños to form a generally neighborly ethnic pastiche. 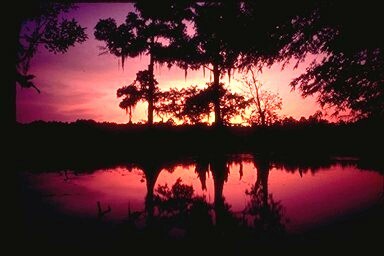 Isleños are descendants of Canary Islanders who came to Louisiana during Spain’s 30-year rule in Louisiana, which ended in 1802. 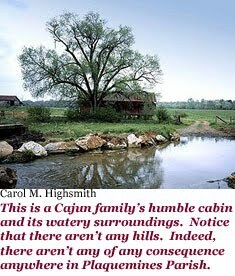 Most all of the parish’s citizens, living in simple frame cabins, sometimes high on stilts in Louisiana’s “wet front yard” — Kane’s words again — are Catholic. 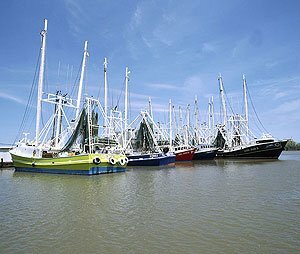 Witness the popularity of ritual blessings of the shrimp boat fleet by the nearest bishop prior to gala, waterborne processionals that usher in seasons of bounty on the sea. They used to be bountiful, at least. So many of Plaquemines’ people keep to themselves that the parish hasn’t a single incorporated town. The largest village is the parish seat, Point-a-la-Hache (“Point of the Hatchet”), with fewer than 700 people. 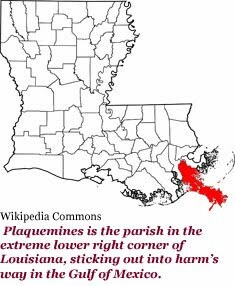 Although Plaquemines has always been more of a passage from the sea to the heartland than a destination, it had one early, shining moment. In 1682, the French explorer Rene Robert Cavalier, Sieur de La Salle, planted a cross near the Head of Passes, claiming the entire Mississippi Valley and all the area drained by its tributaries for France. 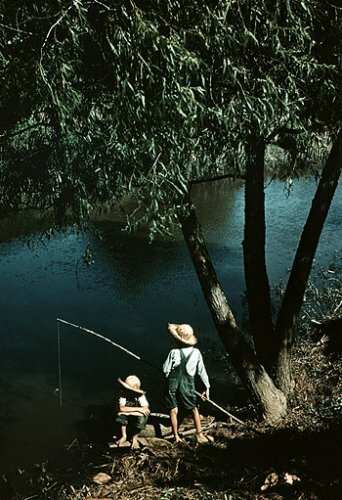 He named this vast, mostly unexplored territory “Louisiana” in honor of his king, Louis XIV. Real forts along the river in Plaquemines, built by Americans after the “Louisiana Purchase” from France in 1803, were captured by Confederate forces in the U.S. Civil War of the 1860s. They would soon be blasted into submission by Admiral David Farragut’s Union fleet, thus wrenching control of the entire Mississippi River from the rebels. Over time, Plaquemines Parish became Louisiana’s favorite source of seafood, rice, navel oranges, and satsumas — a type of mandarin orange. But a different sort of crop — corruption — has been a mainstay as well. If you consider piracy to be a form of it, the tradition goes back to 1807, when the pirate Jean Lafitte and his smuggler brother Pierre set up operations on an island in Barataria Bay. Both were actually more middlemen than pirates. They outfitted the brigands who plundered ships in the Gulf, then bought the booty and sent it in batches up to New Orleans in flat-bottomed pirogues. In a more traditional exercise of corruption, in 1844, 970 Plaquemines residents cast their ballots for U.S. presidential candidate James K. Polk. Problem was, only 272 voters were listed on the entire parish voter roll. Slavery is certainly a corruption of human dignity, and Plaquemines saw its share on indigo and sugar plantations. The great manor homes of two or three of them survive as tourist attractions. Leander Perez and his cronies bribed voters; put nonexistent, deceased, or famous people such as the baseball star Babe Ruth — a resident of New York — on the rolls; and pocketed bribes from oil companies in return for drilling rights. 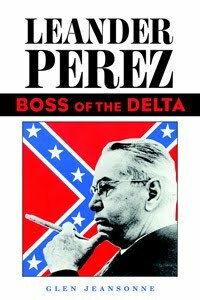 After Perez’s death in 1969, his heirs settled a lawsuit by returning $12 million to the parish government. For better or worse, the names “Plaquemines” and “Perez” remain intertwined in Louisiana’s memory. Nonetheless, Leander Perez was posthumously elected to the Louisiana Political Museum and Hall of Fame. So corruption found Louisiana, and Louisiana found oil. 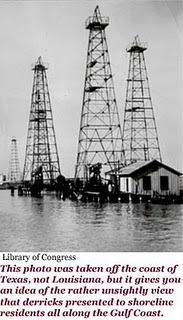 Big corporations have drilled among the thick Louisiana marshes for 90 years. 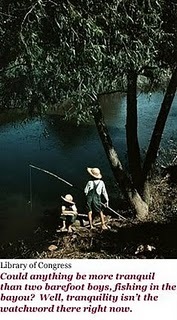 Their crews followed canals called trainasses, cut by Cajun trappers. 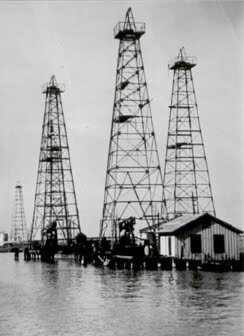 As I mentioned, offshore oil exploration spawned a cottage industry among Plaquemines’ blue-collar workers, who ferry food, equipment, and crews to and from the rigs — which they are usually adept at maintaining and repairing as well. It’s too easy to say after the recent, tragic oil spill that Plaquemines residents will bounce back as they have following other disasters. But if the pellets of sludge work their way deep into the marshes and seep into the bayous that are the parish’s lifeblood, cleanup would be a nightmare. These are not the scrub-able, smooth rocks of the Alaska sound that were coated with oil from the broken tanker Exxon Valdez in 1989, or beaches whose sand could be excavated and replaced if worse comes to worst. They are intricate, interdependent, incredibly fragile ribbons of nature. 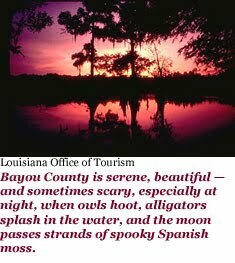 Equilibrium is everything in bayou country, Harnett Kane wrote. It’s “an agency of balance . . . among lakes, rivers, marshes, bays, and swamps.” Could there be a more unbalancing, destructive agent than choking, cloying oil? Let’s just say that it’s a different, sadder kind of bird-watching going on right now at Plaquemines’ numerous wildlife sanctuaries. And that you won’t find the usual joie de vivre among the watchers or the rescuers of oil-covered birds. It will be some time before the good times roll again in Plaquemines Parish, Louisiana. Bayou. Pronounced “BY-you,” this is an extremely slow-moving stream, often surrounded by or filled with lush vegetation. Emulsified. A mixture of two normally unblendable liquids, such as oil and water. Stoop. Originally a covered porch with room for seats outside a front door, it has come to refer to exposed steps on which people sit and chat with their neighbors. >Fabulous article. Thanks so much for the information. >I live in Milwaukee, Wisconsin, born in Milwaukee, but raised in Pine City Minnesota, located along the intersection of Cross Lake and the Snake River, which flows into the St. Croix River, which joins the Mississippi. 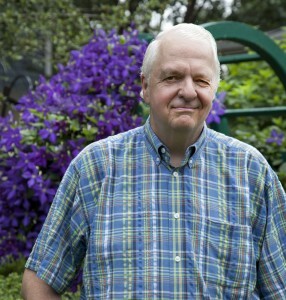 I loved the essay; I've been in a creative writing for publication class off and on since 1994. Gail Grenier Sweet is my great teacher. I've written about a dozen banker's boxes of books. Published about 6 essays in Mental Health World (now defunct). 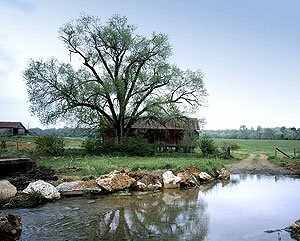 I just watch the movie "The Gift" by Billy Bob Thornton, which had a great mysterious swamp feel, murder, and all the violence that takes place in the swamp. >Interesting article; I moved back to N.O. after 7 years in Chicago, and was searching for an article about the isleanos…sidenote: Perez was actually excomunicated from the Catholic church for his segregationism.